Mobile games can get a bit of a bad rap from self-professed “real” gamers, and while we’ll happily admit that you might not be able to sink hundreds of hours into a mobile puzzle game like you might, for instance, an enormous open-world RPG, we think that on the whole, that attitude is pretty bogus. Luckily, developers agree, because the last few years has seen a clutch of really great mobile games pop up across the various app stores, and Android certainly isn’t getting left in the dust by its fruit-based competitor. This isn’t just a roundup of the most recent arrivals in the Play Store, but a list of the most highly-rated games beloved by critics and fans alike. Unlike console games, they’re not the easiest things to categorise, so while we could recommend you an adventure game, there’s no telling whether you’d rather that adventure in the form of a darkly arty puzzler with a deliberately retro look or a turn-based RPG where you’re both game master and character. Like the sound of a mobile survival game? Well, do you prefer the claustrophobic feel of your 19th century-style avatar being forced to make it work in a sinister wilderness, or romping all over a mysterious island, all guns blazing, in a Battle Royale-style fight to the death? We’ve outlined a little of what makes each game special so that you can come to your decision. While some games might not cost anything at the outset, they might have in-app purchases that equip you with customisations, tools, weapons, and whatever else the creatives behind the titles can put their minds to. But sometimes the best apps overall are the best paid apps, and that’s just the way it is. Where the games on our list require a little bit of dosh to download (in most cases, that’s sub-£5) they’re invariably worth it, not least because it’s a far cry from the £50 and rising of the majority of console games. That’s pretty much all there is to it. If you’re looking on behalf of a game-enthused kiddywink and want to make sure of a title’s appropriateness, be sure to check out its individual listing on the Play Store for an age rating and any content warnings, but after that, adventure is just a download away, so enjoy! This point-and-click adventure might have an old-school DOS feel about it that those of us of, erm, a certain age, will surely appreciate. But everything else about Thimbleweed Park is pretty modern, from the multi-layered activities you use to expand the cast of characters and explore the town, to the ‘casual mode’ for mobile gamers who just want a fun, darkly humorous mystery game to tap away at rather than a complex playing experience. In turns horrifying and hilarious, it has a touch of the Fargos about it, and is sure to provide you with an enjoyable and thoroughly thinky 15 hours or so of play, as well as a hit of nostalgia. 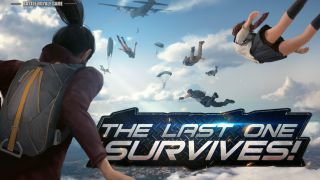 In Rules of Survival, the player finds themselves dropped unceremoniously onto an island overrun by human-controlled avatars embroiled in a battle royale. If that’s already enough to get your heart pounding, you’ll love this mobile third person shooter. Admittedly the formula is a little awkward translated to a handheld device, but then many things will be, and while the mechanics can take a little while to get used to, the rewards are rich: all the heart-pounding tension of hiding and squeal-inducing shootouts we’ve grown to love from Fortnite and PlayerUnknown's Battlegrounds, in a handheld format – although admittedly one with a few kinks. In Monument Valley, it’s your job to steer Princess Ida through a series of dreamlike MC Escher-esque levels in which nothing is a given, and perception can be shifted to help you reach a solution. Quite simply, it’s like no puzzle game before or since, and its phenomenally beautiful level and sound design has been lauded time and time again by reviewers, even winning a coveted Apple Design award in 2014. Some have found it a little short, and even on occasion a bit simplistic, but this is truly a game that’s all about the atmosphere, utilising a level of intuition that’s often quite difficult to find. Lose the D20, down your pencils: this old-school turn-based RPG is the tabletop player’s dream rendered in glorious Technicolor for Android. That’s not to say Knights of Pen and Paper isn’t a must-play for casual gamers too, if you can suspend your disbelief and let yourself become an elfin rogue for the day, you’ll be rewarded with a game of endless activities and delightfully geeky references. You play every member of your guild, including the game master, on two different levels: the “real world” in which your pixelated characters play at the table, and the game world in which you battle monsters, farm barterable items, and earn money to buy bits for the room your role-players are playing in. Pretty meta, huh? If you’ve always wanted to get into RPGs but really can’t be doing with the faff of remembering endless stats and spraining your wrist by repeatedly rolling a die for 12 consecutive hours, you might want to look to Battleheart. Distilling the essence of RPGs into a pocket-friendly game, it does away with the reams of rules and gives you an intuitive – and addictive – playing experience. Recruit your chosen class of party member from the local tavern, figure out your strategy, and unleash your motley crew on waves on monsters with a simple battle mechanic that sees you draw lines from your active player to enemies or other members of your team for dealing damage or healing – it’s even multi-touch sensitive, so if you’re a good multitasker, you’ll be all over this. While it might not have the grittiness of Prison Break, this puzzle-based escape game essentially follows the same gist. Your goal in The Escapists is to break out of a series of prisons with increasing levels of difficulty, while also acting as a model prisoner by turning up for roll call, completing work assignments and pumping iron – or, you could ply a trade on the black market, steal from your fellow prisoners, and give yourself a badass name to go by while you’re doing it. Either way, you need to craft some tools and plot your great escape, just don’t get caught by the guards. As a port from PC and console, this is a pretty faithful recreation, although some reviewers had a tough time with the slightly temperamental virtual joystick, so you might need to take some time to get your technique down pat. While on first read Alto’s Adventure might not sound like much, when you really get down it, it becomes apparent that its developers have struck gold with their combination of simple gameplay and gorgeous graphics. If Monument Valley appealed to your aesthetic sensibilities with its awesome level design, but puzzles aren’t really your thing, this endless runner-style snowboarding game might be more your speed. With dynamic weather and different beautiful lighting effects deployed depending on the time of day, as well as mellow background music, the mechanics of the gameplay don’t have to change much, if at all, to keep you engrossed. Even if you're a staunch Android user, you can still stay abreast of the best games for those other phones. Compare notes (and impress your Apple-loving friends with your in-the-know suggestions) with our list of the best games for iPhone.